Today’s guest post comes from Maria Jones, an expert consultant on emerging technologies. Maria writes for a variety of blogs and today she shares her thoughts on how a variety of emerging technologies could potentially impact our use of social media, including Facebook, Twitter, and YouTube. Thanks to Maria for sharing her thoughts, I’ll be curious to see how these technologies adapt our use of social media, especially when it comes to augmented and virtual reality! From the time we wake up in the morning, to the time we reluctantly go to bed with our mobile phones still in our hands, a large part of our waking hours is spent on the internet. While a lot of this time might be spent browsing websites or using apps, the clear winner as far as time spent is concerned, is social media. That is the reason why a lot of current research is on using technology to improve the user experience of the person using social media and also to improve scalability and analytics from the point of small businesses and other advertisers. Let us look at the few technologies which will shape social media usage in 2018 and beyond. The increasing use of the Internet of Things has resulted in so many changes in the way we live our lives and interact with our physical world. For example, lights are programmed to switch themselves on once they detect motion inside the house, or cars are designed to provide reminders of tire changes or oil refills to car owners via their mobile devices. The use of motion sensors could evolved to help us govern our use of social media. While the technology being considered for such use is still too nascent to merit a deep analysis, just think of the use of motion trackers for our eyes as we browse a particular social media page or the movement of our fingers on the touchpad of our laptops or screens of our mobile phones. If our devices can track the motion of our body, it might help remind us that our eyes are tired and it’s time to “switch off”. Social media helps in bringing people closer, whereas virtual reality takes a person away from the real world and immerses them in their solitary world. That is why people often scoff at the idea of virtual reality (VR) being used in social media. 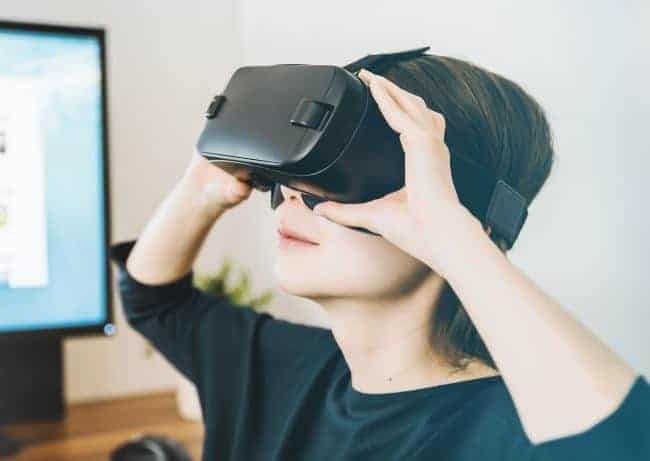 But Facebook, which is one of the leading social networks in the digital space, has already launched its own multi-user online virtual reality platform called Spaces. Users of Facebook can create virtual versions of themselves using their profile pictures, and interact with similar versions of their friends online. The question is whether social networks can bring the interactive features of their networks and overcome the isolation that virtual reality currently creates. This is the middle zone between our real and virtual worlds and superimposes computer-generated images (that are often taken from a virtual world) on to our real world. Augmented Reality (AR) can enhance our understanding of complex procedures (especially medial), and also provide useful data that can be accessed in real-time. As an example, consider AR in use as a doctor wearing augmented reality glasses while performing a complex medical procedure that will help them monitor vital signs of the patient and other information they might need during the procedure. Already, major medical centers are exploring how they can train doctors on both routine and complex procedures using augmented reality. If we can envision professional uses of AR to assist with complex procedures, then surely social media can be enhanced in ways like a Facebook page showing a map or your current location with video or photographs of places of interest like restaurants and bars in the area. Museums or tourist attractions could use AR to help you not only learn about exhibits or attractions, but also share those experiences with your social network. The team over at FramesDirect.com put together an amazing infographic providing information about how augmented reality is changing the selfie, and social media, forever. Radio Frequency Identification (RFID) tags are used on a large variety of products to scan them for billing and identification. But the main purpose of RFID tags is to collect data regarding purchase, stock levels, and consumption. Social media could make use of the data collected by RFID tags by allowing you to see the purchasing choices of people on your friend list, which could be a useful addition to product reviews. Companies like Disney are already taking full advantage of RFID but embedding an RFID chip in their Magical Kingdom wristband. By providing their guests with the chip-enabled wristbands, they can track movements of their guests all over the park and better understand traffic patterns, long wait lines, and customer behaviors. Some social media apps have already started face recognition technology for tagging and identification. This would be more of a help to security agencies and business establishments than to the individual user. Although it would be nice to be able to ask Facebook to show you all photos of your child or your friend over the years. Through facial recognition, Facebook would be able to retrieve those images, even though you may not have actually tagged them in the photos. 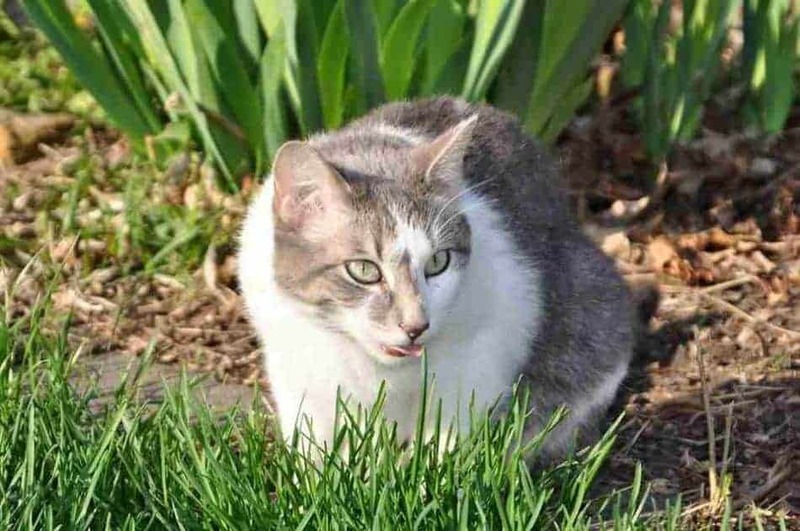 This is made possible by the use of metadata, which can recognize a face and then provide the details of a person from his or her social media profile. We all have heard of Siri and Cortana, who give us answers to any possible question via their artificial assistant avatars. One of the experts at http://www.tayloright.com predicted that these avatars would soon be aligned to our social media profiles as well, and could help us with our questions regarding our profiles or others’ profile as well. Social media has brought the world so much closer in the last decade or so, and every day sees new improvements to make the various social media apps more and more user-friendly. But the cutting edge in social media is the continuous integration of new, emerging technology to make social networks even more inclusive and interactive. 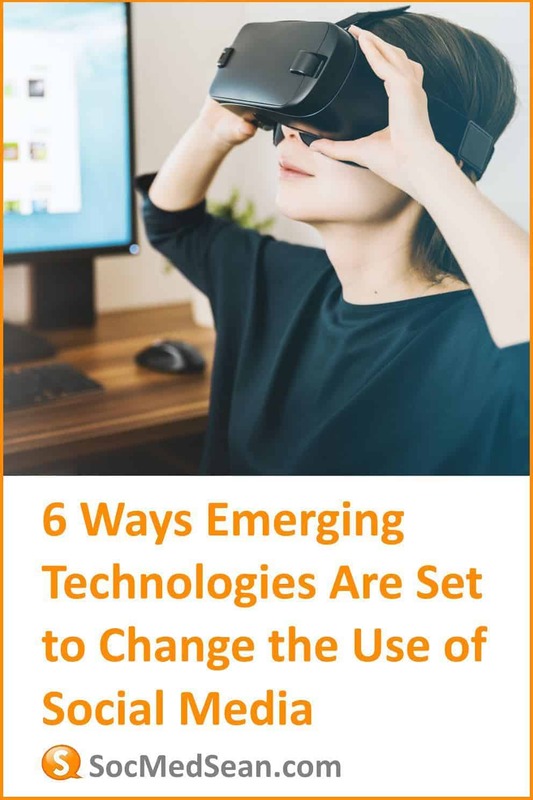 There are many more new technologies evolving, apart from the ones listed above, giving us the opportunity to continually evaluate new changes and opportunities. The only worry that many experts have is that some of these technologies might impact the privacy of the users of social media and leave their details open for unethical hackers to misuse. Thanks, once again, to Maria for sharing her thoughts on these emerging technologies. It’s exciting to think of a world where virtual reality and virtual assistants help us network with each other and share knowledge. Hopefully, we can build an amazing collaboration space similar to the one that is envisioned in the Oasis of Ready Player One, yet still encourages us to care for our physical world. Have thoughts on how new technology might enhance (or hinder) our social media interactions on sites like Facebook, Twitter, or other social networks? If so, be sure to share them in a comment. Very Nice Content,Keep sharing with us.it is very useful for who wants to get knowledge about Latest Technology Updates.